My love for fitness started at a very young age. I started swimming year-round competitively at the age of 5. It continued with Soccer and Softball through my childhood, and I went on to play college softball. Fitness has ALWAYS been a part of my life in some way shape or form. It wasn’t until my mid to late 20s that I became more involved in helping other people to incorporate and enjoy fitness as much as I always have. 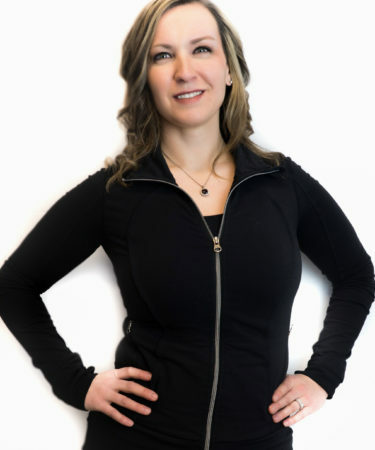 Keri has been teaching group fitness classes and personal training at Evolve Fitness (previously Ultimate Fitness) for over 6 years. You can see Keri in the gym every day and sometimes twice a day. She has had many years of experience with training for proper form and class instruction. Keri also has experience in prenatal and postpartum workouts. She teaches amazing Boot Camp style classes and loves to show people how to reach their full potential when working out. Keri enjoys cross-training style workouts, strength training and hot yoga. She is a Certified Personal Trainer and Certified Group Fitness Instructor through National Exercise Trainers Association (NETA). Keri received her bachelors and master’s degree at the University of South Dakota, where she was a four-year starter on the softball team. She lives in Sioux Falls with her husband and daughter. Call Keri for a complimentary personal training session today! First consultation is always free! Keri is available for early morning and daytime appointments.